It's New years Day, 2015. 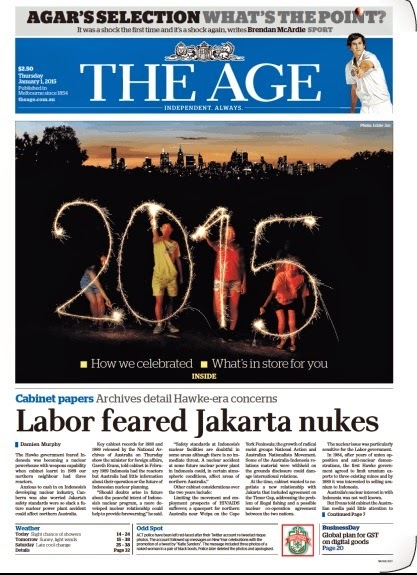 My morning paper has an image on it from the celebrations in the city last night, much as it does every year. A quick glance around the web reveals many other media outlets, local and overseas, have followed suit. A snap of the fireworks, or people watching the fireworks, has almost become a New Years Day news tradition. But what about earlier years? 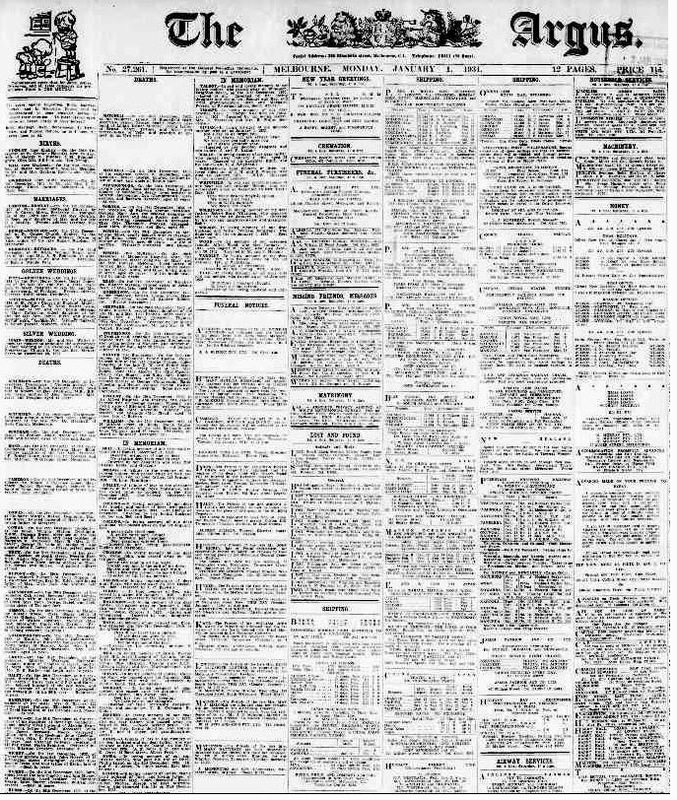 A look back at newspapers from earlier times can tell us a lot about what was happening on New Years Day, back in the day. The 1950s are often viewed as a staid decade, and this front page seems to capture some of that mood. 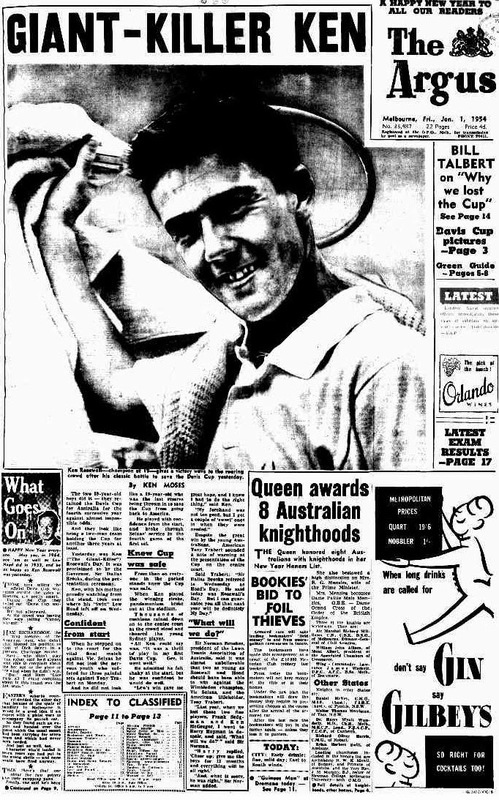 About three quarters of it is taken up with Australia's Davis Cup tennis win over the United States, driven by two precocious 19 year old's destined to become stars of the game; Ken Rosewall (the 'Giant Killer' of the headline) and Lew Hoad. The next largest story does have a New Years theme though, with the announcement of the Queens Honour's List. 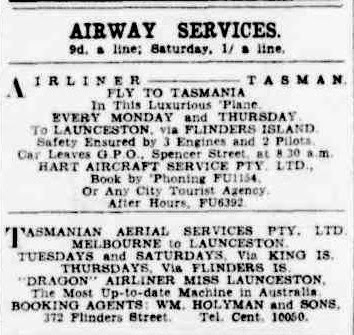 Eight Australians were knighted, which is about a decades supply in contemporary times, and the Prime Minister's wife (referred to as Mrs R.G.Menzies, rather than by her own christian name) was made a Dame. In other news, Victoria's bookies indicated that they would start using an armoured car service to collect their take at the end of each race day. Previously, many had simply left their cash in a strong box in the city, but one of these had been cracked and emptied by thieves the previous week, with many thousands of pounds lost. 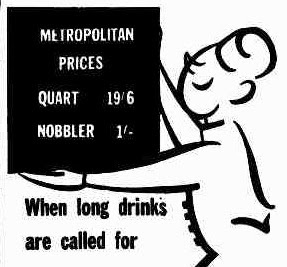 A 'nobbler' was a local term, used exclusively to describe a quantity of gin. It was effectively a nip, and 12 nobblers made up one quart. 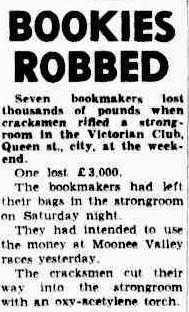 I was not able to locate the origin of the term, but a different local use for 'nobbler' at the time was to describe a person who illegally fixed horse races, usually by drugging a horse. So, a possible explanation could be that it drew a comparison between a drugged horse, and someone who had knocked back a few too many nips. Going back ten years, 1944 finds a different world with the last full year of World War II about to start. 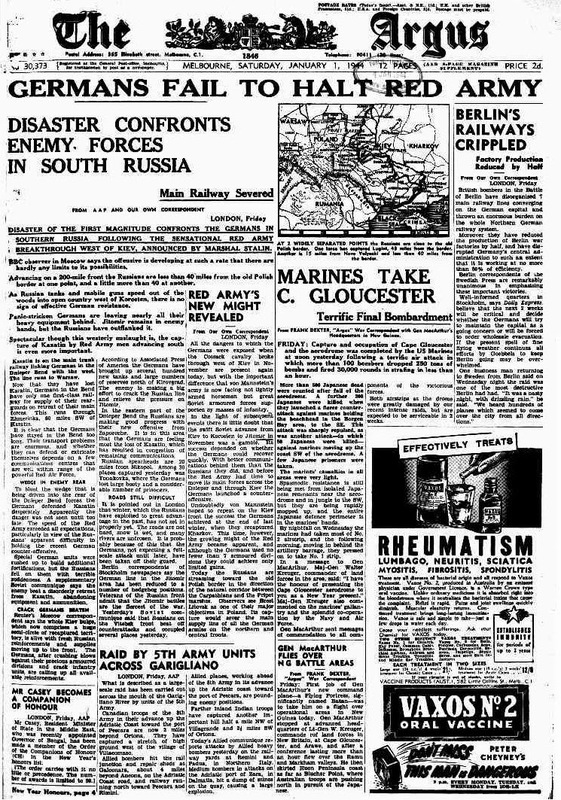 No surprise then, that the front page of the paper is almost entirely taken up with the latest from the war's far flung theatres; the Red Army's dramatic advance towards the Polish border, and a landing of American Marines in New Guinea. Both pointers towards the Allies eventual victory. On a more sinister note, the Argus' correspondent in London comments on the growing size and might of the Red Army, useful for the Allies at this time, considerably less so when the Russians decided not to retreat again at war's end. The only non-war related story is at bottom left, and again makes mention of the Honours List (although this time, the King's Honours List). Local boy Richard (later Baron) Casey had been made a Companion of Honour (CH), for his works in the civil service, also recognised when he was appointed Commonwealth Governor of Bengal the previous year. A reminder that this was still three years before India achieved independence. 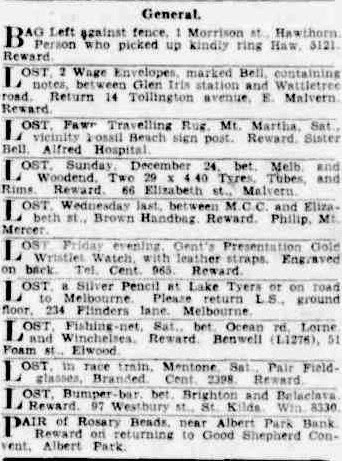 It's difficult, if not impossible, to imagine a world where you could report a lost bag or pencil to the local paper, with any expectation of its return. 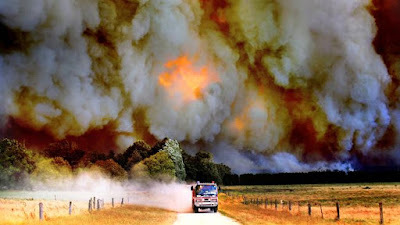 'Safety assured by 3 engines and 2 pilots' Hart Aircraft Services proclaimed, in a statement you think may have come back to haunt them. 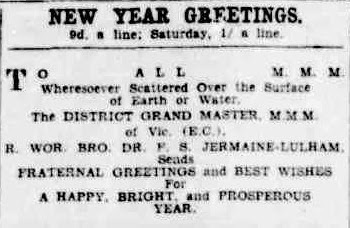 Placed by Frederick Sidney Jermaine-Lulham, a local dentist and leading Freemason, the message has an unfamiliar presentation, but content that would not look out of place on facebook today. And all at 9 pence a line.